While most workplace issues can be dealt with directly, or with a little mediation from someone in HR, there are situations that may require a proper workplace investigation to resolve. 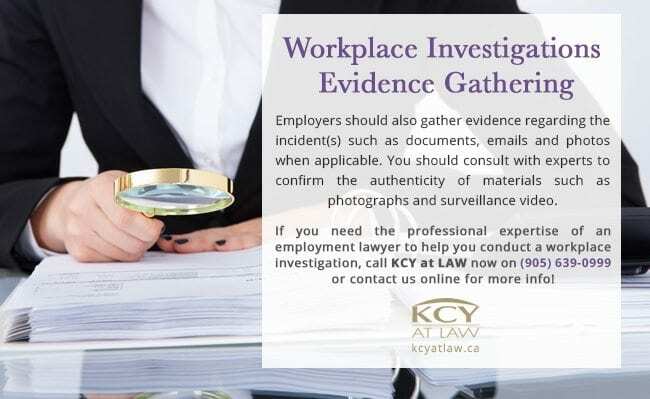 Allegations or suspicions of theft, fraud, dishonesty, harassment or violence are just some of the circumstances that could warrant a workplace investigation. When conducting a workplace investigation, there are many things you as a boss or employer should do to ensure its success. First and foremost, you should gather the facts. Get all sides of the story. This means privately and neutrally interviewing all parties involved in the dispute – including the accuser and the alleged perpetrator. Remember, the alleged perpetrator has a voice too. Throughout the interview and investigation process, it is essential that you accurately record all the information you gather. Employers should also gather evidence regarding the incident(s) such as documents, emails and photos when applicable. You should consult with experts to confirm the authenticity of materials such as photographs and surveillance video. Transcripts, notes, documents, video and any other material relating to the investigation should always be kept safe and confidential. Following your evidence gathering, you should complete a report detailing your conclusions and recommending appropriate actions to remedy or reprise any wrongdoing. Sometimes, accusations will be proven incorrect. However, you should never make reprisals for allegations made in good faith. This means that if one employee makes accusations against another and it’s clear that these allegations were made from genuine concern based on the information the accuser had, they should not be punished should their allegations be proven incorrect. Only allegations brought forth with the intent to bring harm to the person against whom they are levelled should result in reprisal for the accuser. Investigations can make for tense workplaces. As an employer, you should make efforts to ensure that your employees feel safe and comfortable throughout the duration of the investigation. The best way to ensure comfort and cooperation from all employees is to have clear policies detailing how you will deal with complaints. Employees should be made of such workplace policies at the beginning of their employment and employees should immediately be made aware of any changes to workplace policies. Unfortunately for all parties involved – including employers – workplace investigations are all too often flawed or mishandled. 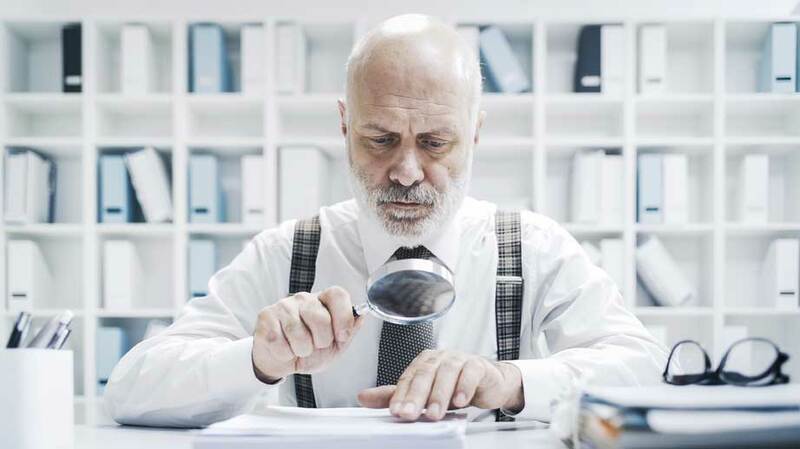 For employers, mishandled investigations can be costly. If an employee feels that they have been seriously wronged by the mishandling of a workplace investigation, they may successfully claim constructive dismissal or even sue for damages. Even many competent HR professionals can struggle to get everything right when conducting a workplace investigation. It is important that employers recognize when they are out of their depths to properly address alleged misconduct. We therefore recommend hiring a qualified investigator help you handle workplace investigations. Having a competent third-party investigator, such as an experienced employment lawyer, will help you ensure a successful investigation. An employment lawyer has the legal knowledge and experience to conduct a fair and thorough investigation. In particular, allegations that are serious (involving violence, or criminality), involve high-ranking employees or complicated financial or legal issues, are best handled by a qualified third party. An outside investigator is more likely to be, and be seen by all parties as, impartial. Therefore, all parties involved in the investigation will be more likely to believe in the fairness of the investigation and accepting of its results. If the behaviour or activity being alleged is serious and criminal in nature, you should report this to the police and allow law official to conduct their investigation without interference. 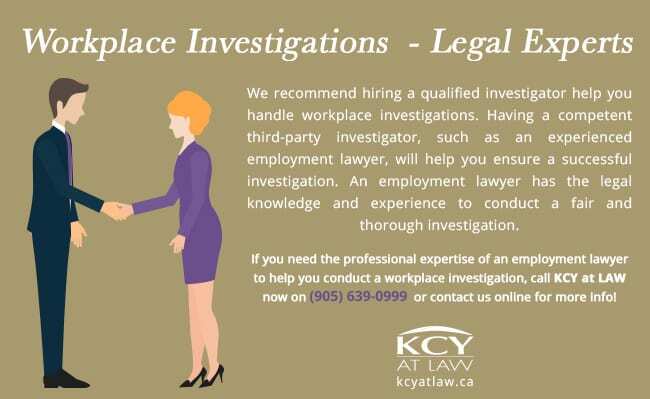 If you need the professional expertise of an employment lawyer to help you conduct a workplace investigation, call KCY at LAW now on (905) 639-0999 or contact us online for more info!